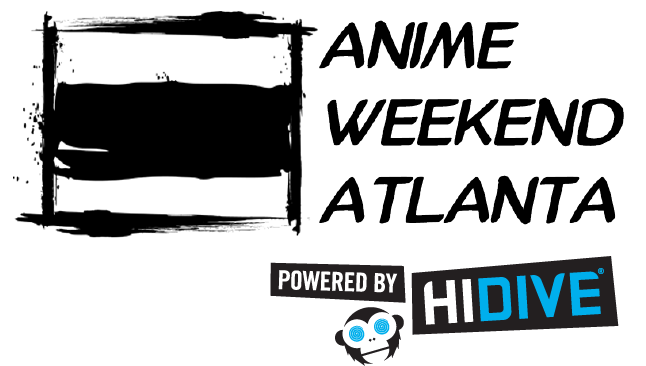 You can purchase AWA memberships in advance of the show, starting now online. These memberships are good for all four of the convention days, and membership badges can be picked up at any time during the weekend. Your membership badge will allow you access to guest panels, autographs, video gaming, table top gaming, the manga library, anime screenings and premiers, the Video Art Track and so much more! Additional tickets for very special events like the formal ball can be purchased when you register online as well. ONLY 4 day adult memberships can be purchased online. The opportunity to suggest guests, and events for the convention. AWA is a completely fan run show, and members help decide the features and direction of the convention for future years. These memberships will need to be picked up when you arrive at the convention. They will NOT be mailed to your home. Membership prices change at 11:59pm EST on the deadline date. These memberships will be mailed to your home. Please make sure to provide a correct mailing address when you register. Memberships will be sent 2 weeks before the convention, and you will receive a tracking number. Once they are in the mail, the badge(s) are your responsibility. You will be able to pick up your con guide, lanyard and bag when you arrive at the convention at an information booth or special registration. No waiting required! Membership prices change at 11:59pm EST on the deadline date. Early start memberships cannot be purchased after September 1. Gives you access to the entire convention, including concerts, exhall, panels, and games unless event specifically states that an additional ticket is needed. Ages 11+. You will receive your membership badge in the mail 2 weeks before the convention. Please ensure your address is valid and complete when registering. Standard Group memberships will need to be picked up by the Group Leader when you arrive at the convention. They will NOT be mailed to your home. Membership prices change at 11:59pm EST on the deadline date. These memberships will be mailed to the Group Leader’s home. Please make sure to provide a correct mailing address when you register. Memberships will be sent 2 weeks before the convention, and you will receive a tracking number. Once they are in the mail, the badges are your responsibility. You will be able to pick up your con guide, lanyard and bag when you arrive at the convention at an information booth or special registration. No waiting required! Membership prices change at 11:59pm EST on the deadline date. The pre-registration line is much faster than the walk-in line. Early Start is separate membership type that allows us to send you your membership badge certified mail for a small fee. We no longer require a signature, but we are not responsible for the package once it has been mailed out. When purchasing Early Start, please provide us with a full mailing address. Without an address, we cannot send your badges to you. Your badge will be mailed to you approximately 2 weeks before the convention. The package will only contain your badge. Lanyards and con guides can be picked up from Info or Special Registration – no wait required! You may bring your Eventbrite confirmation email on your mobile device. We recommend screenshotting the email so you don’t have to wait on it loading when you reach the window. AWA memberships are non-refundable. If you have pre-registered for the event, and can no longer attend, you can transfer your AWA 2017 membership to another person, or to the following year. Unused memberships from AWA 2016 and earlier can no longer be transferred. There will be one line for ALL Pre-registered memberships. You must have your confirmation email and Photo ID. The name on your Photo ID MUST match the name on the badge, no exceptions. Group Leaders will get in the Pre-Reg line. Only the Group Leader will be able to pick up badges for the group. If for some reason your Group Leader can not attend, they will need to contact us prior to the convention to change the Primary Attendee for the group. The Group Leader will need to show Photo ID (just the confirmation emails is not sufficient) and will be given a packet with the group’s badges in it. At that point, they will need to check the badges and sign that they have been picked up. Please, check the badges at the window. After the Group Leader leaves the window, the badges are their responsibility! Group memberships cannot be transferred to the following year, unless the entire group transfers. If you register with a group and cannot attend, you must transfer your membership to another person, or forfeit your membership. Note: No membership badges will be refunded at the convention. Any transfer requests will be processed after the convention. Don’t have a Photo ID? Pre-registered attendees who are minors will have to appear at Registration with an adult relative (not an adult friend) to present their ID to pick up their badge. They can not pick up the badge for the minor if they are not present.